Struggling to choose a dishwasher? Discover top brands & values in our buying guide. No thanks, I know what I'm looking for. Dishwashers have changed over the years. You have probably looked into quietness especially if your living room or dining room is close to your kitchen. The brands have changed as well. You should now consider LG, GE, and Samsung along with KitchenAid, Miele, and Bosch. 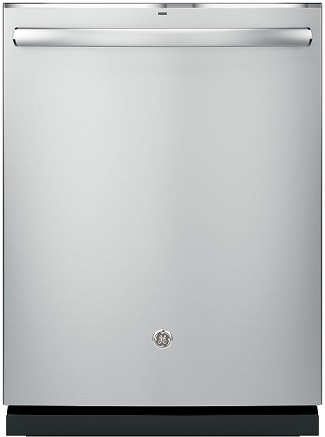 You also do not have to spend a ton of money for a quiet, stainless steel dishwasher with good features anymore. There are, however, more options to consider. 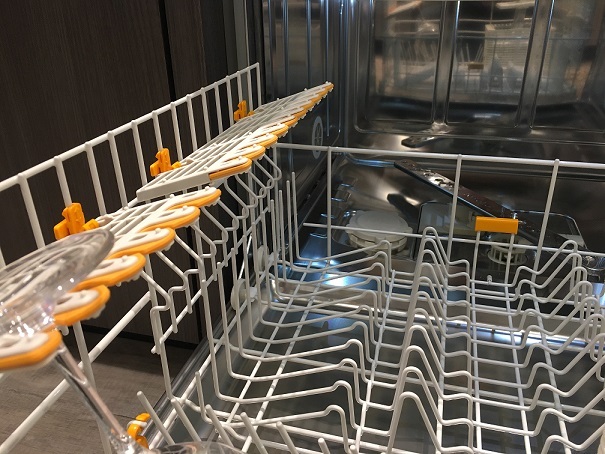 In this article, you will learn about the differences between plastic and stainless steel dishwasher tubs. 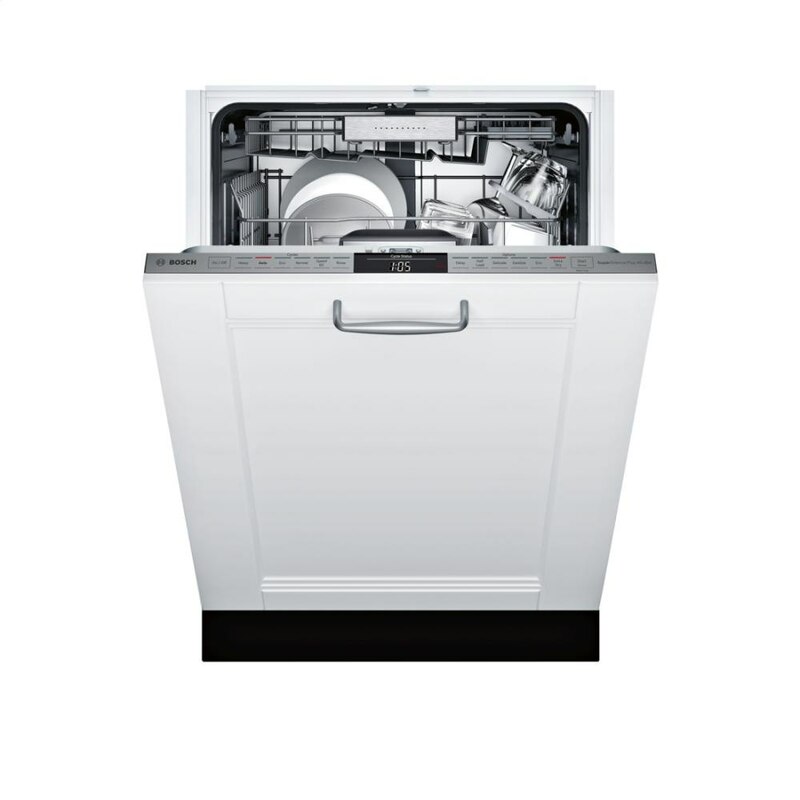 Then we will compare American vs. European style dishwashers as well as some newer features worth considering. I will also show you our reliability data based on 34,687 service calls logged by our service department last year. Then you will see the best dishwashers to consider out of the hundreds, if not thousands, of models available. 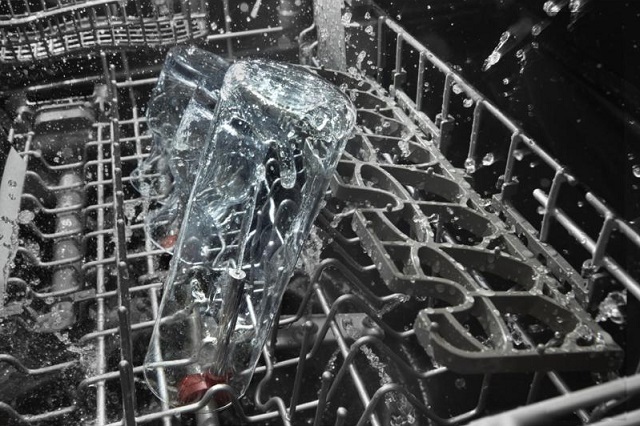 Most of the better dishwashers have stainless tubs whereas the less featured are plastic. They both hold water, but stainless steel is non-porous and won't retain odors and germs like other surfaces. 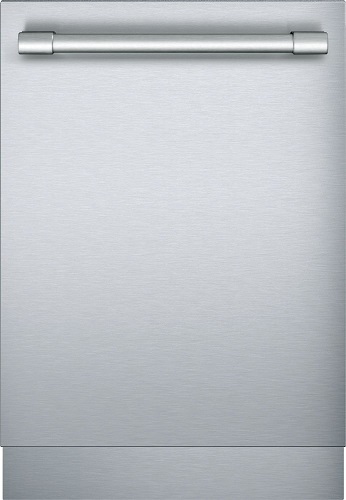 Typically plastic tub dishwashers have been much cheaper to buy, but stainless is only $50-75 more lately. Frigidaire, GE, Samsung, Whirlpool, and Maytag are the only plastic tub manufacturers. Most brands are selling more stainless steel tubs than plastic now. All of the models we are introducing in this article have stainless steel tubs except for one. Dishwashers are split between American style models (like Electrolux, Frigidaire, GE, Whirlpool, Maytag, Samsung, and KitchenAid) and European style models (Bosch, Asko, and Miele). The American style has a grinder on the bottom to handle any leftovers whereas the European style has a removable filter. European models tend to be quieter. They will also be flush with your cabinet, so they look better with a custom panel. American companies still have a heating element for better drying results in most cases. You probably want a quiet dishwasher. However, at a certain level, decibel (a measure of sound) differences are not detectable. Any dishwasher at 42-44 DBs is quiet enough. You should not pay for just quietness as a feature below 44 DBs. Our 13 best dishwashers are chosen based on our own reliability statistics, features, and efficiency. Our reliability statistics are based on 34,687 service calls logged by our service department last year. Miele, Bosch, LG, and Samsung are statistically the most reliable. Whirlpool is basic and sold mostly to builders. However, with a 10-15% repair rate within the first year, you most likely will need service within 5 years. You should be mindful of who fixes appliances in your area. 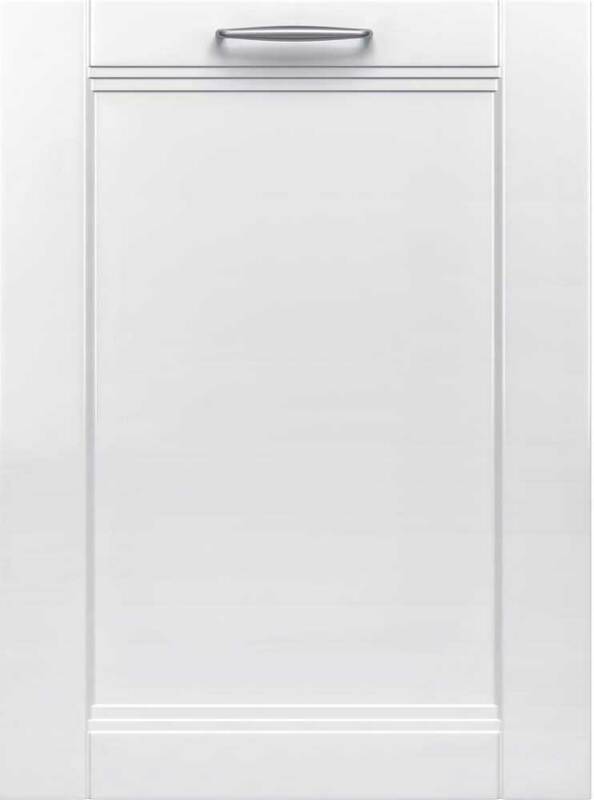 Samsung has a stylish dishwasher with an adjustable top rack as well as leak detection sensors. This brand is actually one of the most reliable dishwashers sold. At 55 DBs, it's not quiet. 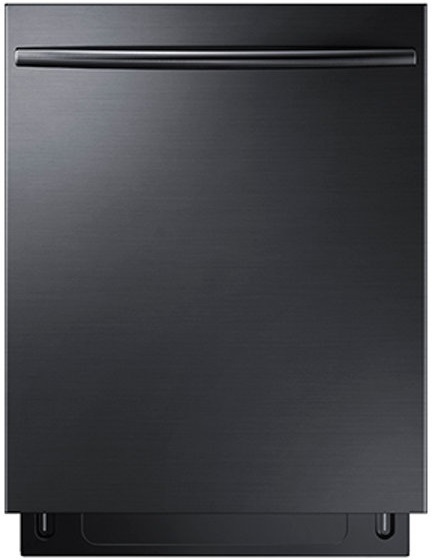 In fact, Samsung is a good consideration for a lower priced dishwasher for builders or first-time homeowners. This has a good feature package with stainless steel inside, and a disposer for a reasonable amount of money. Great dishwasher for the money. It's very quiet at 44 dBs and has a 3rd rack for silverware. Their "Storm Wash" is essentially a few areas of concentrated spray jets for dishes with baked on food. One of the best-selling dishwashers at Yale and nationally. This model has all the necessary cycles, 3 adjustable racks, a third rack, and is incredibly quiet at 44 dBs. 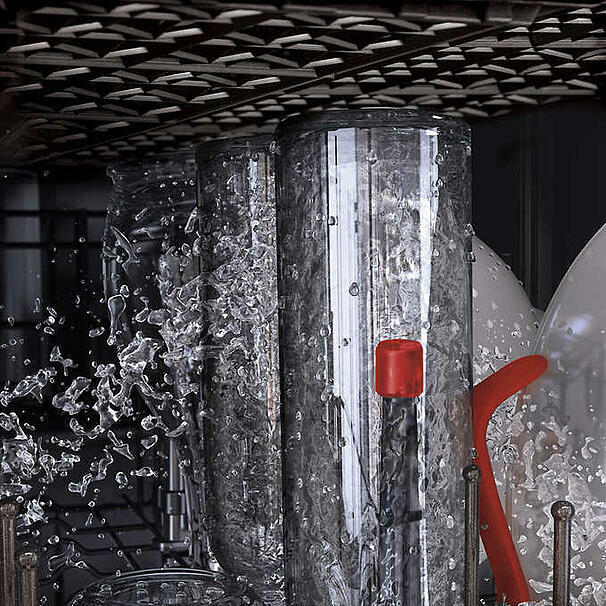 Miele is one of the most reliable dishwasher brands. 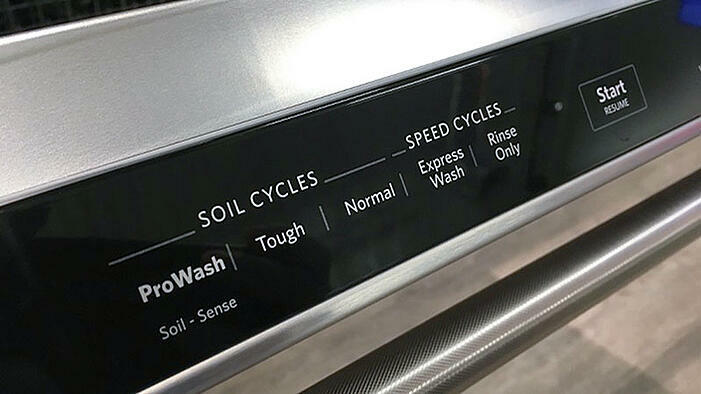 This dishwasher features the best drying capabilities. Air is directed to the side of the dishwasher so the hot air in the dishwasher is attracted to the cooler side and then dissipated. + Rack stop to keep the rack from pulling completely out of the dishwasher. It's one of our top-selling dishwashers because it can blend seamlessly into any kitchen. Bosch recently omitted a visible badge from the front of their dishwasher. The recessed handle, hidden controls, and flush installation are all great design elements. 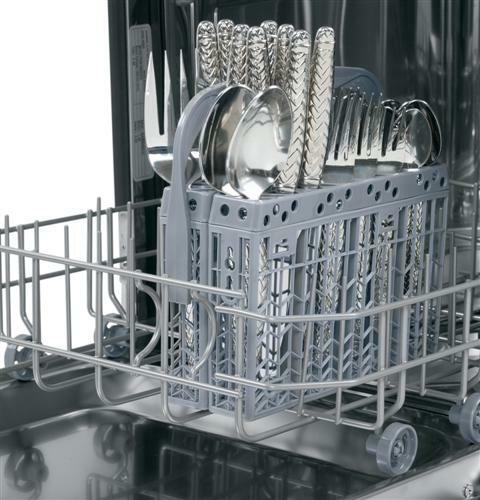 This dishwasher also offers a few high-end features for the price such as a 3rd cutlery tray, tall item holder, and a half-load cycle. 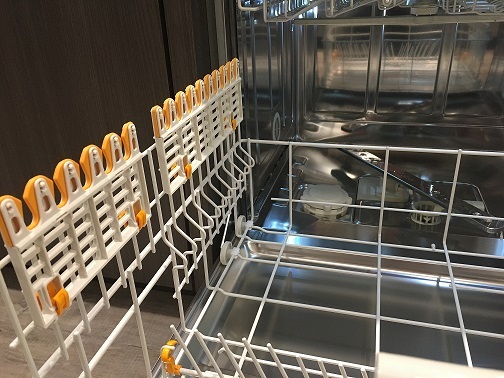 This new Bosch dishwasher has better ball bearing racks, and a rack stop to prevent the rack being pulled out of the dishwasher. 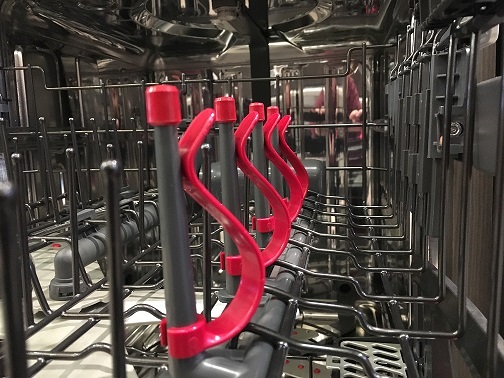 The KDTE334DSS has every cycle including their ProWash or extended wash with soil sensing capabilities, light/china for your better stemware along with normal and shorter express washes. You also have a ton of options like heated or air drying and a Sani Rinse cycle. The Sani Rinse cycle is a high-temperature wash for better removal of baked-on food. There is also a third rack for silverware. At 39 DBs, it's almost noiseless as well. 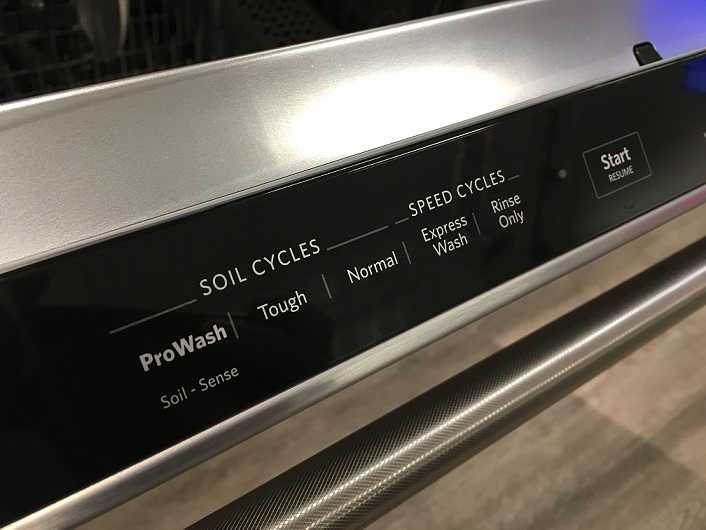 If you want to buy a great dishwasher with high-end features but aren't looking to break the bank, this is the right dishwasher for you. 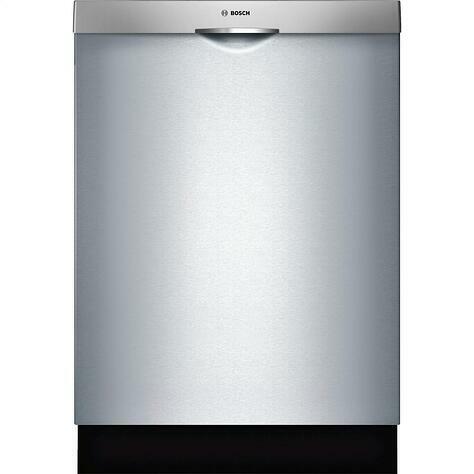 The SHX98 is one of the most feature-loaded dishwashers in the industry for a great price. It has almost every cycle available and an absolutely noiseless 39-decibel rating. The GE Profile has a good wash and dry system. It still has the disposer on the bottom, so it's only 45 DBs and not very quiet. However, it has a number of cycles. The silverware and bottles have their own concentrated wash jets. It is quieter, with better fold down racks and overall adjustability. You can remove almost all the tines in the bottom to fit any odd dish. Along with their drying system, the door pops open to speed drying at the end of the cycle as well. 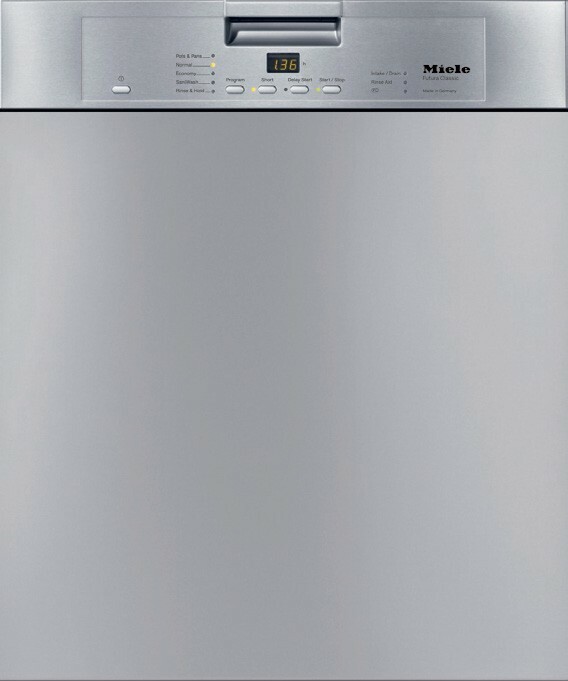 Click here for our list of best Miele dishwashers. StarDry - The most exceptional drying power in the world. Introducing Thermador's Zeolite technology, reducing the need to towel dry items. No other dishwasher dries better. And now for something totally different. Thermador uses a mineral from volcanic ash called Zeolite. It absorbs moisture and emits heat for a 20-minute wash and dry cycle. However, it's $2,799, so it should excel in washing your dishes. 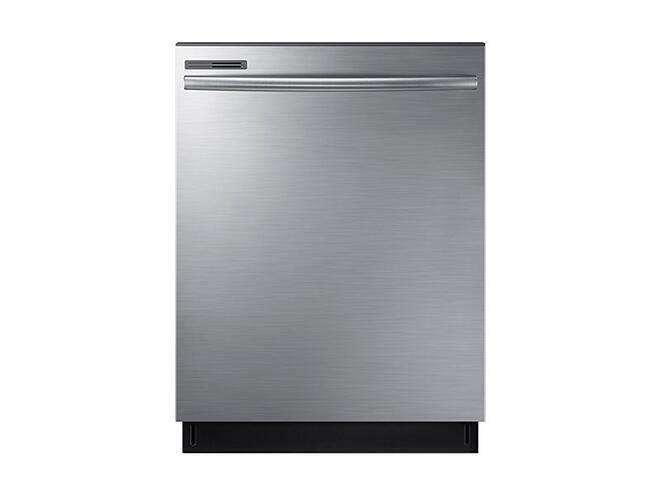 If you buy the Thermador range, you can apply a $1,400 credit for this dishwasher. In this one case, I would recommend a European model exclusively. The dishwasher will not protrude. Best of all, it will look like a cabinet. American manufacturers will stick out and look like...a dishwasher rather than the intended cabinet front look. Bosch and Miele have a few models that can be paneled. Here are two of the most popular. 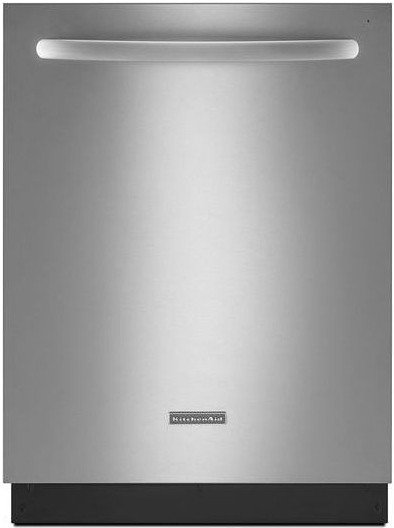 40 dBA- Quietest Dishwasher Brand. The MyWay Rack gives you the industry's largest 3rd rack loading capacity. FlexSpace Tines fold back to fit your larger pots & pans. Speed60(R) gets your dishes from dirty to dry in about an hour. I don’t recommend Black Stainless for most people. It’s an oxide coating on top of stainless. You can scratch Black Stainless Steel, and it will show the shinier stainless underneath. There is also no remedy or an easy fix. However, you probably will not replace every Black Steel appliance at once. Samsung and Bosch have the most scratch-resistant Black Steel. Best Dishwasher would be the Samsung DW80K7050UG. Both GE and KitchenAid have concentrated sprays just to remove that gunk from your baby’s bottle (I have a baby. I understand). Or maybe its the protein powder from the bottom of your sport bottle. 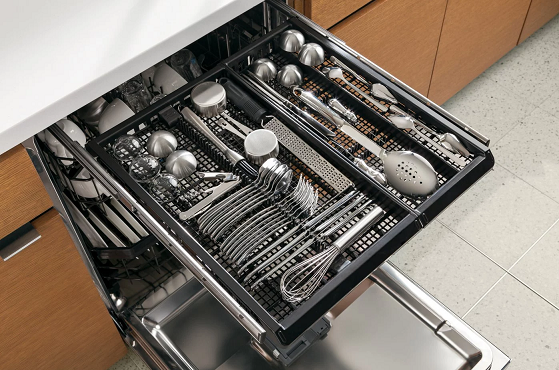 Miele’s third rack ensures each piece of your fine silverware is held in snugly and won’t scratch. The wash arm is over the tray for better cleaning. GE has concentrated jets under their basket. Thermador works at 20 minutes for wash and dry. Then again at $2799, it should. 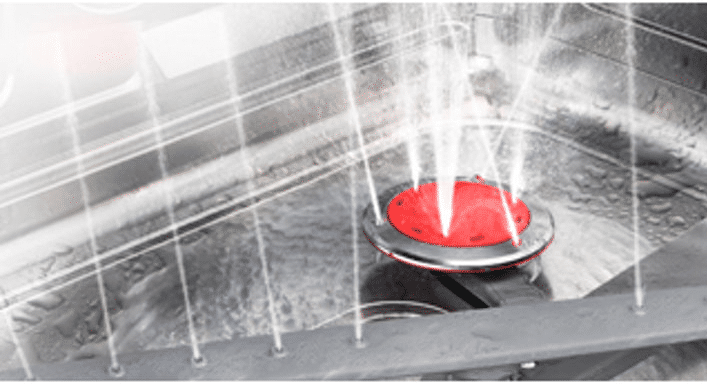 Miele draws in outside air, so moisture is dissipated. Certain Miele and Samsung will pop open at the end of the cycle to speed the drying process. American brands like GE will have an element to add heat and speed drying. If you bake foods on in casseroles, there are dishwashers to help clean the hardened food off your plates. Samsung has the Storm Wash concentrated cycle. 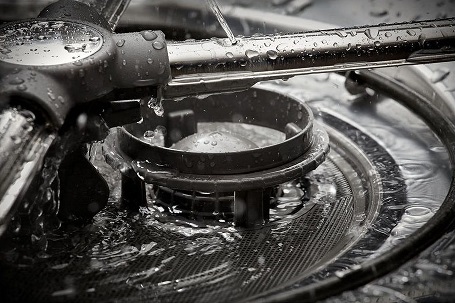 KitchenAid has the ProWash for more intense pressure on your dishes. 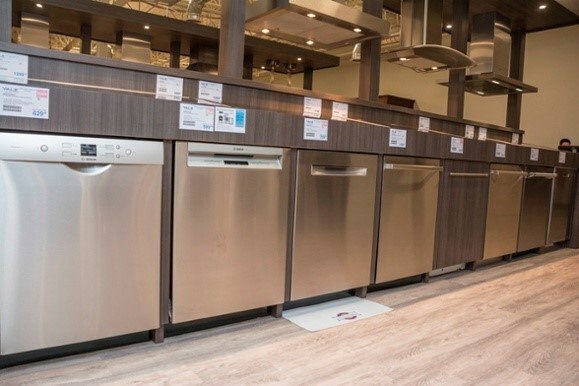 Memorial Day along with Black Friday, Labor Day, and Presidents’ Day is one of the best times to consider an appliance due to manufacturer incentives. That is true of most appliances, electronics, and cars. Look for promotional holidays for the best rebates. In the past it was 10-35%, they won’t be as good in 2019 due to tariffs and increasing steel costs. In terms of reliability, it is Miele, Bosch, and Samsung. There is a reason to buy any of these dishwashers from $399-2799. Quietness after 44 DBs is not a feature worth paying more. 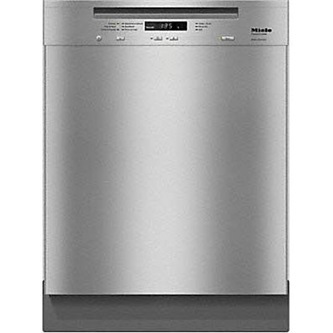 The most popular dishwashers are the Bosch, Samsung, KitchenAid, and Miele at the middle prices of 769-1100. They have decent features and racks. Samsung is good even at $399. But their “Storm Wash” model has premium features in their wash and dry cycles for $649. Miele is also a great dishwasher. Traditionally, they have been the most reliable. Their drying and rack flexibility are the best in the industry. 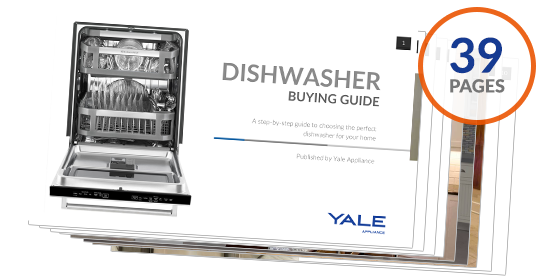 Get our free Dishwasher Buying Guide with tips, trends, and reviews of all the major brands. Over 510,000 people have already found answers in a Yale guide. WHY SHOULD YOU TRUST US? A few review sites have placed this at the bottom of their articles. So here is our take: Our mission is to find reliable products for you to buy. Other review sites may say this as well. However, we don’t love every product. Quite frankly, it costs us way too much money in repair costs to support less reliable brands. We feel it is our responsibility to repair your appliances after you buy them. We now have 30 service technicians, each averaging 8-10 calls a day Monday through Friday, plus another 110 on Saturday. That's over 30,000 service calls logged in one year. The labor rates of fixing an appliance do not come close to the true cost in any product’s warranty period. That is why no major retailer has a service department. It costs too much labor, money and time.  Our Blog is a bit different than most others you will read. We cannot write glowing reviews of unreliable products. Hopefully, the bloggers and organizations who write such glowing product reviews for every brand consider servicing these products first. Only then they will understand the consequences of their marketing. My goal has always been simple: I want Yale to be the best retail experience anywhere. I have tried to create a compelling environment for customers and employees alike. Pricing on this blog is for reference only and may include time sensitive rebates. We make every attempt to provide accurate pricing at time of publishing. Please call the stores for most accurate price.